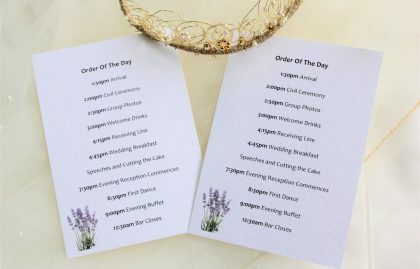 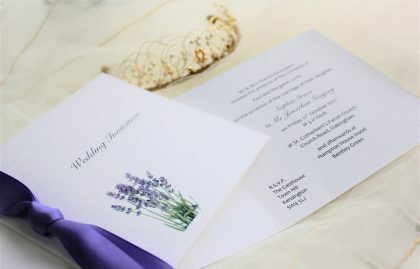 Lavender Wedding Stationery is right on trend for informal themed country weddings. 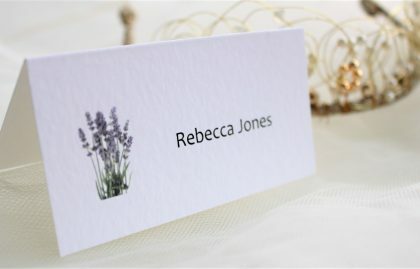 Lavender themed stationery is ideal for weddings held in barn style venues. 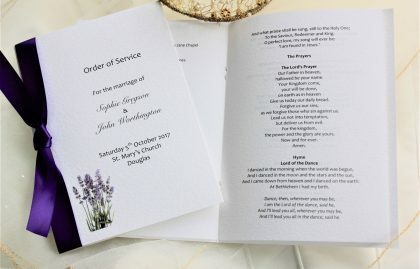 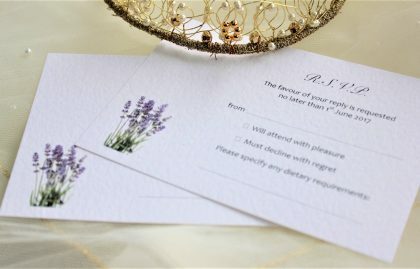 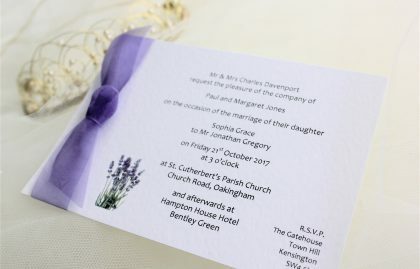 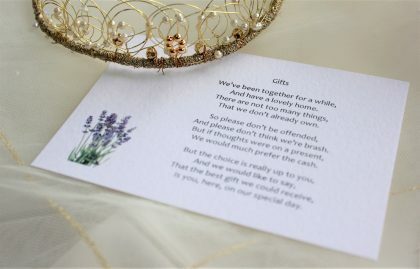 Browse our full range of wedding stationery items in the Lavender range which include everything from save the date cards, wedding invitations, evening invitations, RSVP cards, guest information cards, place cards, table plan cards, menus, order of day cards, order of service books and thank you cards. 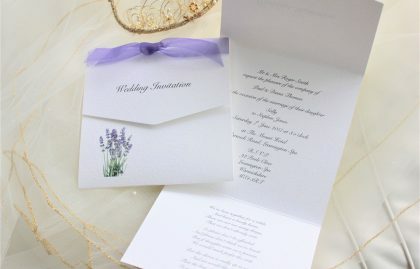 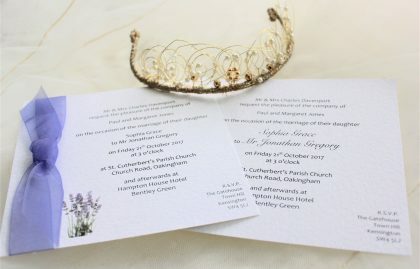 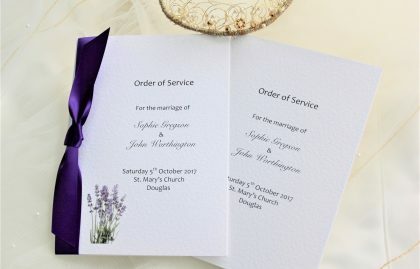 All our Lavender Wedding Stationery is available on a heavy weight (270gsm) white or ivory hammered textured card.